This post is sponsored by Polka Dot Bungalow. THIS GIVEAWAY IS NOW CLOSEDGood Morning Out There in Blogland! Today is the first day of spring break for us...of course, it doesn't look so much like spring with the 4 inches of snow that fell on us yesterday. Boo. But, I'm happy anyway because I have something fun to share with you all today! My newest sponsor: Polka Dot Bungalow!! 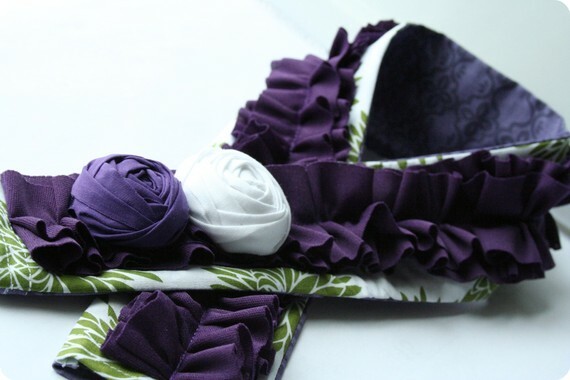 Polka Dot Bungalow is a fabulous etsy store that features darling ruffled camera straps. Love them!! Such bright, fun colors...you'll want to wear one even without a camera attached to it. Ha! Pop over and visit Polka Dot Bungalow to check out all the great camera straps available. I guarantee you'll be adding one of them to your wish list. And you're in luck because today, Polka Dot Bungalow is offering one reader of the Shabby Nest their own pretty camera strap! Just leave a comment on this post for one entry. If you tweet, facebook or blog about this giveaway you get an extra entry for each, but you must leave an additional comment for each thing you do in order for the entry to count. Easy Peasy. Drawing open until Wednesday April 6th at 11:59 PM EST. This post was sponsored by Polka Dot Bungalow. The opinions expressed are 100% mine. Those are awesome! I definitely want one! OOOH these are gorgeous! Hope I win! I would love, love to be lucky enough to win one of these beautiful straps! Ooooh, so pretty! My camera could really use some beautifying! I'm in love with these straps. They are absoulty amazing! Count me in for the giveaway because these just stole my heart! Lovely! I heart ruffles. Thanks for the giveaway. I have a daughter that would love a ruffle strap for her camera. So cute. Love them all!!! How do I choose!!! I just LOVE her stuff. Would love to win a camera strap! Please please please pick me! I LOve those straps, my camera would look so good in them! Love these! I so "need" one! Those are so pretty! Much nicer than the camera strap I currently have. Just got a new "big girl" camera! I would love to have one of these! How beautiful are those straps?!! These are super adorable! I'm buying my first DSLR this week, and this would be the perfect accessory, since I plan to pretty much live with the thing around my neck. My favorites are the Lady in Grey and Enchanted Blossom patterns, but they're all SUPER adorable! very cute! would love to win! So adorable! Yippe for giveaways. So darling! I would love to win one! they are all so gorgeous, how would you choose? They are so pretty! Sign me up. My camera has been begging for one of these! My camera has been needing a splash of color! Would love to have one of these. So cute! These camera straps are SO fun!! I would love to win one!!! I have been trying to win one of these for a while :) Would love to add this to my camera strap! I posted on my FB page too!!! These are amazing! I'm getting into photography myself and would absolutely love to carry my SLR on one of the beautiful straps! I really, really want to win this! Very cute! I would love one! Would love to have one. So cute, just what my camera needs! Love these!! I totally want one! just tweeted about it... I hope I win!! oh and I just posted on facebook too! and now I've blogged about this totally awesome giveaway!! Ruffly goodness....my camera is threatening to walk if I don't win. Love and adore. They are so cute!! I love the classy & sassy...well I love all of them, really. Every chicken needs one! Including me! Those are super cute. I must have one! I love these camera straps! Thanks for the giveaway! I love them! My husband just bought me a new camera for my birthday, and I would love a strap. I don't even have a fancy camera but would love to win one of these adorable straps. So cute. How cute?! I would love to win! I would love the "follow your dreams" but the hubs would not agree with me...thinking of Enchanted Blossom or Chic Couture. I could totally use a camera strap! Her's are ADORABLE!! LOVE! I just facebooked about it! Those are adorable! Thanks for doing a giveaway! LOVE the Polka Dot Bungalow!! Stephanie's camera straps are gorgeous!! I am not gonna miss any chance at a giveaway!! Just tweeted it as well!! These are fabulous! I would love a bright one for summer. I LOVE pretty camera straps!!! So adorable! I want one. those are so gorgeous! my poor little camera would love a fancy strap like that. :) thanks for the chance to win! Oh and link to my blog ! I just got a new camera for Christmas and would LOVE one of these! wow they are amazing, count me in!! I would love one of these!!! Beautiful! I love this camers straps!! These are absolutely knock-out gorgeous! I would love to jazz up my camera with one! This is on my wish list for Mother's Day but with my husband's job loss a few weeks ago, I figured it would stay on my wish list. It would be awesome to win one! I just got a new camera & would love one of these pretty straps to go with it! Love the green & brown one above! I love the look of these......I would LOVE one!! I want one soooooooo BAD!! I would love love to dress up my Nikon!!! I have been eyeing her Etsy for awhile now! oh, those are too cute! thanks for the chance at the giveaway! Such fun colors! Love em. Oh I love these and have been wanted to get one forever! I posted about the shop in my facebook wall too! Love, Love, Love the PolkaDot Bungalow! Hope I win!! I've been wanting a camera strap like this for my DSLR for the longest! You do a great job with your blog! My camera strap is soooooo boring and begging for something pretty to wear to jazz her up! Love them! Please come visit my blog when you have a second, I'm new to blogging and am so excited to meet like minded bloggers! 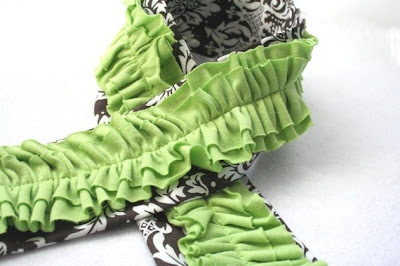 Thanks, Teri at "twirling in a party dress"
I think these are some of the cutest ruffle straps I've seen! I am a follower of her's anywhere I can be! That strap would definitely motivate me to practice my photography skills! I can't decide which of the new spring collection that I want. They are all so lovely!!! I just love Polka Dot Bungalow!!! I am a facebook fan of The Shabby Nest and the Polka Dot Bungalow. I posted about this awesome giveawayy!!! Oooo this could be big for me! I like them all! This is my first time visiting your blog and I LOVE the camera straps. SO adorable! I too am planning on purchasing a DSLR very soon and one of these would be perfect! Absolutely Beautiful! I'd love to win one! I would love to win a camera strap for my sister-in-law. She is a photographer, and this would be a great graduation gift!! Hoping that I can win one so my camera will be SO stylish! I just fb-ed about it too! I saw TheJonesFamily FB post. It looks amazing. Her camera would be so stylish with that strap! Love these! I think I might need one!! These are so Fun! Just what my T1I needs! YAY! I have always wanted a pretty camera strap cover!!! I FBed this giveaway as well! Cute!!!!!! Would love to win, and not have to make my own, because I can promise it won't be nearly as cute! Love these!! I am taking a photography class and could totally use this. I hope I win this! I D700 would love the new addition! camera strap don't mind if i do!!! I just proclaimed our relationship on facebook! SOOOO FUN! I would love to win this! I WANT ONE...THEY ARE GORGE!!!! I love her spring designs! Can't wait! I think I need one! Thanks! So loving the beautiful ruffled camera strap!! I loveeee these camera straps! I've been wanting one for a while, these are great! These are beautiful. Would love to have one!